Independence Day event will be followed by a concert at Veterans Memorial Park in Beaverton. The City of Beaverton will play host to the Beaverton Freedom Festival starting at 8 a.m. Wednesday, July 4, at Beaverton City Library, 12375 S.W. Fifth St. 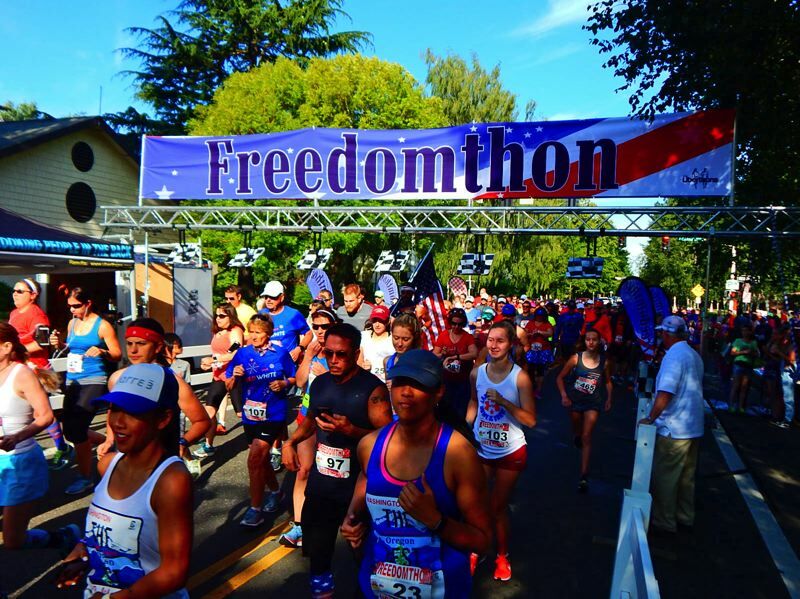 The event begins with the "Freedomthon 5K" run and walk at 8:30 a.m., followed by the youths' race at 10 a.m.
Later, race participants can enjoy a free pancake breakfast and lemonade. The event also features live music from Bottleneck Blues Band, a pie eating contest, bouncy houses, obstacle courses and more. Area road closures are expected from 8 to 10:30 a.m. near the race location, Southwest Fifth Street from Hall Boulevard to Western Avenue, and Western Avenue from Fifth Street to Allen Boulevard. For more information and race registration, go online to the city's website. Later, participants can join Tualatin Hills Park & Recreation District and the Beaverton Post No. 124 of the American Legion at a concert to recognize the sacrifices service families make in support of active, reserve and veteran service members. The event is 11 a.m. to 1 p.m. at Veterans Memorial Park on Southwest Water Avenue. Food and beverages will be available for purchase or people may bring their own own picnic. For more information, visit the park district website.